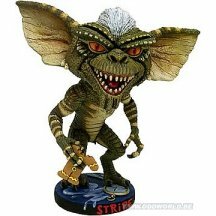 Stripe from the hit movie Gremlins as a "Head Knocker" (Bobble Head.) 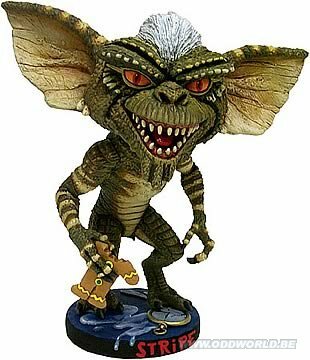 Standing 8-inches tall, this piece is hand-painted and made of heavy ceramic-type resin. Comes in display window box.